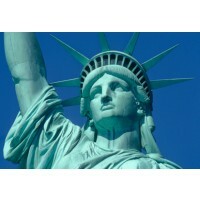 • 9/11 Memorial and Museum, Uptown/Downtown Hop-on, Hop-off Bus Tour, Empire State Building, and More! • Instant Delivery & Mobile Ticketing – get it now, use it now! • Instant delivery and mobile ticketing! Hop-on and off at top spots in Manhattan, Brooklyn and the Bronx. Once you’ve seen 5th Avenue, join us on a trip to Woodbury Commons for the same designer brands at discounted prices. 48 hrs of CitySights NY double decker bus sightseeing, plus a Circle Line cruise, Museum of the City of New York and the Empire State Building observation deck. Make your New York City experience the best it can be with this convenient pass designed to help you get the most out of your trip! Enjoy the The Empire State Building and our Hop-on, Hop-off Sightseeing Ferry to fully enjoy your visit! Discover the sights and attractions that make New York City a premier destination for travellers from all around the globe with the double-decker Downtown Tour Plus One package! 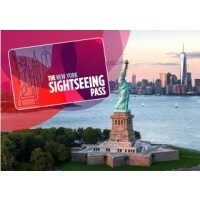 The Super Saver Card is the most convenient and affordable way to experience New York City’s top sights! This “pick-as-you-go” card gives you the option to cross off top NYC attractions, including One World Observatory, and 9/11 Tribute Center, from your sightseeing list. With this all-inclusive tour package, you’ll experience the magic of New York City’s many renowned landmarks and neighborhoods, plus have the chance to visit a brand new attraction! 48 hrs of double decker sightseeing on the Downtown, Uptown & Harlem , Brooklyn, the Night Tours and Liberty Helicopter’s Big Apple Tour! 72 hrs of double decker bus sightseeing, includes Museum entrance, a Circle Line harbor cruise, your choice of observation deck and a ferry ride to Liberty Island. You’ll want to see as much as possible while in New York and here’s an opportunity to save money with this combination purchase of two must-see destinations. CitySights NY, 96 hrs of double decker sightseeing, Museum entrance, a harbor cruise on Circle Line, your choice of Empire State Building or Top of the Rock, and bus to Woodbury Common's Premium Outlets. Discover the best of the Big Apple with a complete sightseeing tour of Downtown Manhattan and the opportunity to visit a brand new attraction! Purchase your Times Square Pass today and make the most of your New York City visit! Experience two of Times Square’s top attractions with the Ripley’s Believe It or Not! and National Geographic Encounter: Ocean Odyssey combination tour package! Offering door-to-door service, GO Airlink is an easy start to your Big Apple vacation!